This is two coats of Color Club Harp On It. 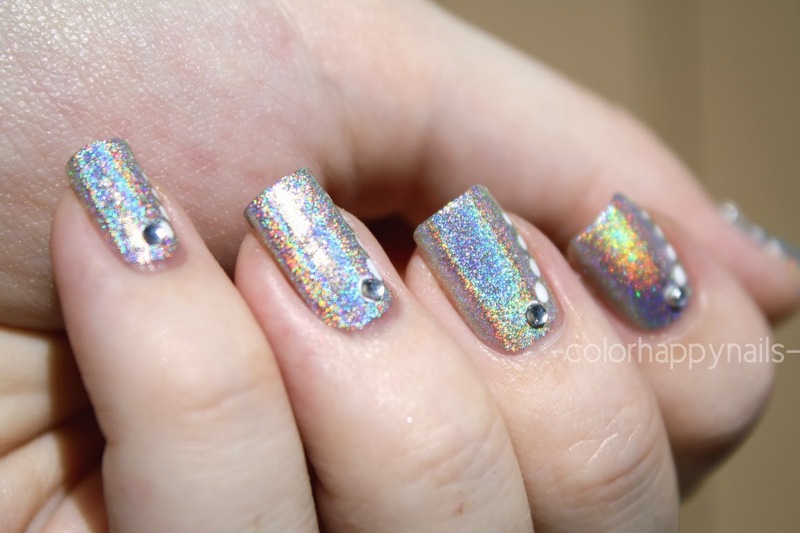 Your basic silver holographic polish, if a holographic polish can be called basic. This is probably one of the best holographic polishes you can buy. It's a strong linear holo that goes on easily and evenly and doesn't require any special base coats or nail prep. I used Seche Clear as my base for the photos below, but I tested it over several others as well as bare nails and didn't notice any appreciable difference in application. 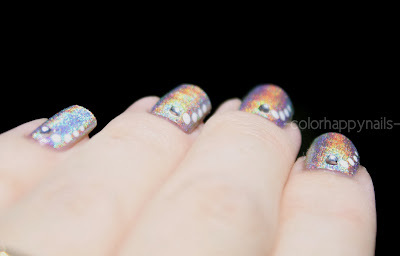 I also didn't notice any significant dulling of the holographic effect with topcoat. The best part is that it really doesn't take much for the effect to be visible. Many other holographic polishes look completely dull in anything but direct sunlight. This one is best in bright sunlight of course, but I even see quite a bit of the rainbow shift indoors. The only time I've seen it completely flat so far is in the shade outside. I wanted to do a little nail art on this, but I decided to keep it simple so as not to overshadow the gorgeous holo-ness. And of course I had to go a little crazy with the pictures. 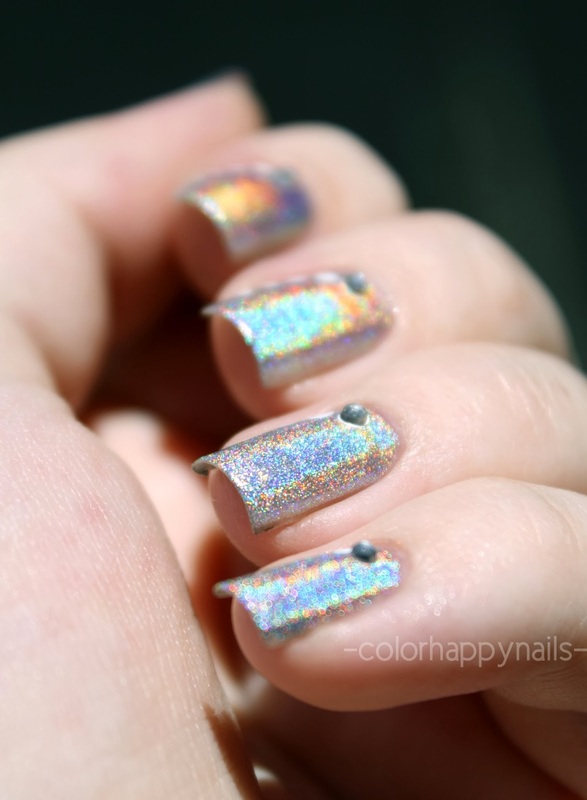 Because holo.